What Is TypingClub and How Can You Use It? Keyboarding is one of the most important skills for students to learn. No matter what career path they take, they will need proficient typing skills -- especially in STEM, health care, and other technology careers. With the need to teach keyboarding skills, teachers are on the search for effective tools. There are a ton of options out there, but it can be hard to decide which one is right for you. To help you and your students, we’re reviewing one of the most popular keyboarding options: TypingClub. In this blog, we’ll discuss how TypingClub organizes its lessons, the teacher’s account, and the student experience. We’ll also give you some ideas for how you can use TypingClub! But before we dive into the specifics, we’ll give a little overview of what TypingClub is! 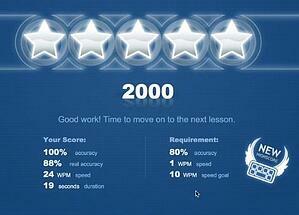 TypingClub is a web-based software designed to teach typing to students of all ages. Because it’s online, all your students need to complete work is a device with Internet access. TypingClub has options for both individuals and schools. For the purpose of this review, we’ll focus on the school editions. 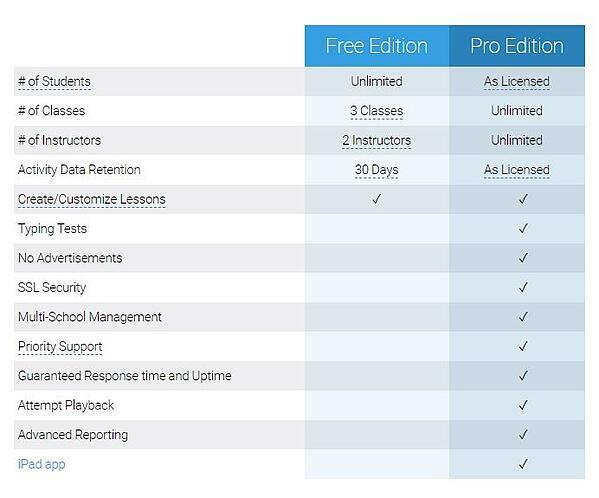 There are two school editions available -- Free and Pro (the paid version). Both options give you and your students access to all of TypingClub’s lessons and games, plus the standard student and teacher dashboards. Now that you have some background on TypingClub and the two school editions, let’s dig into how TypingClub organizes its lessons! TypingClub has a number of different “lesson plans” that you can choose, depending on the needs of your students. 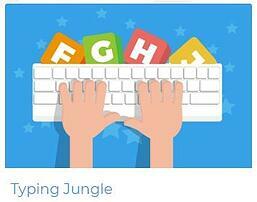 For the purpose of this review, we’ll focus on Typing Jungle -- the most popular lesson plan provided by TypingClub. Typing Jungle has more than 650 lessons for teaching students to type using the standard QWERTY keyboard. The lessons start out with the basics of learning individual keys and which finger should be used to press them. As students progress, the lessons become more complex and involve typing longer phrases and eventually full paragraphs. 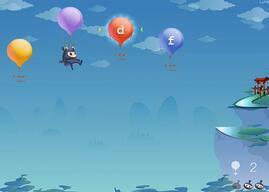 In addition to these lessons, TypingClub incorporates instructional videos and review games throughout Typing Jungle. The videos introduce students to new keyboarding concepts, such as posture. Then, the review games give students fun ways to practice what they learned in the videos and lessons. The difference between the games and the regular lessons is that the games provide a more interactive, engaging, and competitive way to reinforce typing skills. Overall, the linear organization of Typing Jungle makes it easy for your students to stay on track and make continual improvements. So, how can you monitor those improvements and make sure your students are progressing through the lessons? The teacher dashboard lets you do that and so much more! TypingClub provides a robust teacher dashboard to help you set up your class and monitor student progress. The first step is set up your classes. To start, just choose the lesson plans you’d like students to complete. Then, you can customize your class with different settings and options. These range from setting the difficulty level for the class to progress limitations. You can also choose to assign a placement test, which will put your student into the most appropriate lessons based on their current skills. Once you’ve gotten all of your settings customized, it’s time for students to enroll. This is a quick and easy process in which students enroll themselves into your class using a unique class code. After students have completed lessons, you can see everything you’d ever want to know about their progress from your dashboard. The number of reports and charts is impressive, complete with details at both the class level and student level. The reports have a lot of helpful information, but they can also become overwhelming because of the sheer number of them. However, TypingClub does include tips throughout the system plus a well-built Help Center to make it easier to wrap your head around all of the information. So, you have an idea of what TypingClub looks like for you, but what about your students? There are two parts to the student experience in TypingClub – lessons and the dashboard. We’ll start with the lessons, where your students will spend most of their time! When working on a lesson, students receive instant feedback as they work and a summary when it’s completed. This includes information about their typing accuracy, words per minute, and the number of stars they earned for the lesson. Once students have completed lessons, they can view information about their progress on the student dashboard. The student dashboard includes a “Stats” area that has many of the same charts as the teacher dashboard, such as a student’s typing speed, accuracy, and how much they have practiced. In addition, students also see any “badges” they’ve earned, the number of stars they’ve collected, and where they stand on the class leaderboard (which you can opt to show them). All of the student information is designed to make them more invested in completing lessons and improving their skills! One of the biggest pros of TypingClub is the presentation. When teaching a repetitive skill like typing, it’s tough to keep students engaged. But with its variety of lessons and game activities, TypingClub is great for engagement! In addition, students can customize their TypingClub experience by changing font sizes, activating voiceover audio, and even adding a screen reader. For teachers, the biggest plus is the Help Center. It’s structured to quickly answer common questions, and there’s even a section that includes helpful planning resources -- a nice bonus! The biggest downside to TypingClub is the extreme number of settings and options. There are a ton of ways to customize TypingClub for each class and a lot of reports. These quickly make the teacher dashboard very complicated. You could easily become overwhelmed with trying to figure out what each option means, let alone which ones you want to use! An additional con to TypingClub is the lack of segmentation based on student age. Typing Jungle is expected to be used by students ranging from late elementary school to high school. This means the lesson graphics and content could end up being too “young” for older students. Now that you know what TypingClub is and how it works, how can you use it in your classroom? Though TypingClub includes lots of lessons, you need to do more in your computer classes than just have students log in and practice typing skills. To make the most out of TypingClub, it’s smart to approach your classes with a blended learning strategy. TypingClub is perfect for this teaching style since there is so much flexibility with when and where your students can log in. That means you’ll have a lot of options for incorporating lectures, in-class activities, homework, projects, and more in addition to TypingClub work. You can even take your blended learning strategy further by incorporating digital curriculum like Business&ITCenter21. How Does Business&ITCenter21 Work with TypingClub? As curriculum software, Business&ITCenter21 is the perfect complement to TypingClub for middle school computer classes. Business&ITCenter21 helps bridge the gap between knowing how to type and applying those skills when using computer applications like Microsoft Office or Google Apps. The system includes more than 275 hours of computer applications curriculum, made up of hundreds of interactive lessons, classroom activities, hands-on projects, automatically-graded assessments, and more. Just like TypingClub, Business&ITCenter21 is a web-based application that’s frequently updated with new lessons that reflect changes in technology and educational standards. It also comes with a built-in teacher dashboard for managing your classes, monitoring student progress, and tracking grades. Overall, combining these two resources can help reinforce the skills your students learn from TypingClub by applying them in the lessons and activities within Business&ITCenter21! Who wouldn’t want to teach typing and Microsoft Office in the same class? 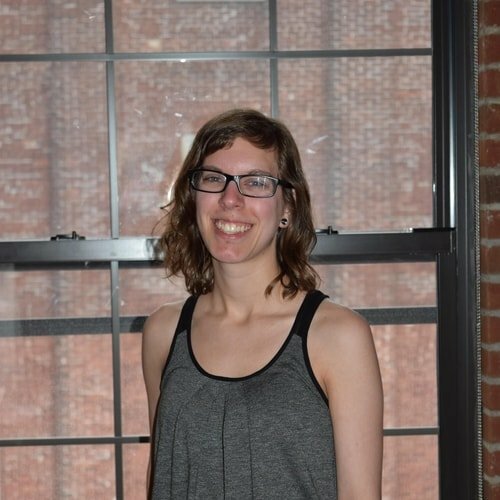 Are you interested in taking your computer classes to the next level? Learn more about Business&ITCenter21 today!